There are currently around 6,000 GameStop locations, meaning most people don’t have to drive very far to trade in a used game. But how will the company weather the two storm fronts of increased competition from major retailers and the shift toward digital downloads of games? 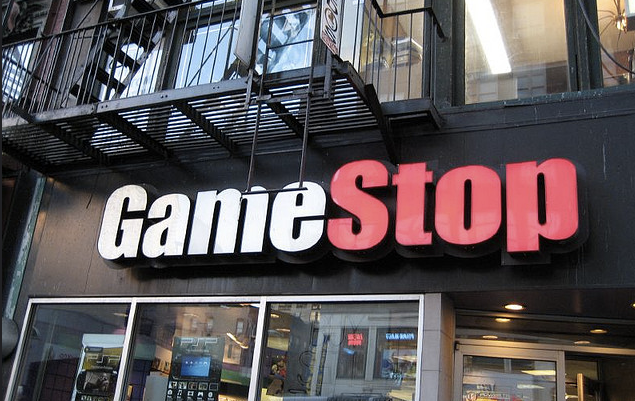 Fortune posed these questions to GameStop CFO Rob Lloyd, who tried to make the case that the company will do just fine while dropping the hint that the days of having a GameStop on every other corner might soon fade. Months after beginning to accept used game trade-ins from customers, Walmart recently began selling these “certified pre-owned” (That phrase confounds me, as if one needs a certificate to verify that they are buying a used item) games, and that it intends to do so at prices that compete with GameStop. Lloyd talks up GameStop’s massive 180,000 square-foot Refurbishment Operation Center in Texas, where the company makes all your used copies of Dragon Age 2 look new-ish again. On the other hand, what could really ding GameStop is a future where most people buy their video games digitally. It’s already a popular way for PC gamers to shop, and it’s catching on among console users. While GameStop does sell $800 million a year in download codes for full games and add-on content, Lloyd says that 90% of those purchases are actually done at GameStop retail stores. And though $800 million is a nice figure, it’s less than 10% of the company’s total revenue. But Lloyd isn’t freaking out. Yet Lloyd acknowledges that bricks-and-mortar retail is shrinking, pointing annual closings of about 2% of its stores each year for the last three years. Additionally, many GameStop’s leases are for only 3-5 years, giving the company flexibility when it comes time to trim stores. “As things move online, as shopping patterns change, we’ll manage our real estate portfolio accordingly,” says Lloyd.